With experience defending employers against discrimination claims, wage and hour claims and employee benefits issues, Molly Batsch uses that knowledge to help develop proactive employee policies to avoid future disputes. 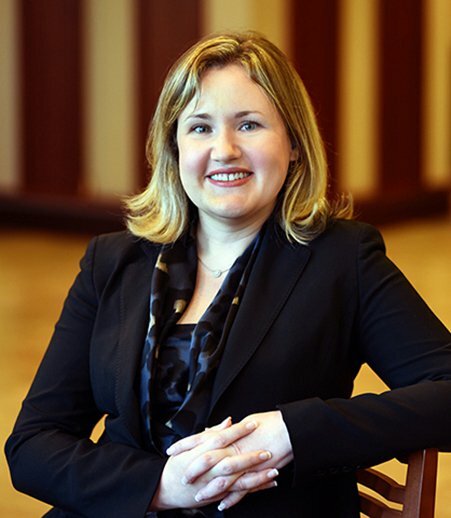 In her employment and labor practice, Molly Batsch handles litigation related to employment discrimination claims, employee benefits and other disputes, as well as advising on day-to-day issues related to the employer-employee relationship. Molly defends management in employment discrimination charges and lawsuits, labor arbitrations, wage and hour collective and class actions, and ERISA employee benefits litigation. For example, she assisted in the defense of a large health care network in two class action lawsuits alleging failure to pay for overtime — resulting in a favorable settlement for the client — and in obtaining summary judgment in favor of an employer’s long-term disability plan in a lawsuit alleging wrongful denial of benefits under ERISA. Molly also regularly assists in revising and drafting employee handbooks, employment agreements, separation and severance agreements and non-compete agreements. She advises clients on employee discipline and terminations, workforce reductions, wage and hour issues, family and medical leave, requests for accommodations and a variety of other employment matters. Her practice also includes handling disputes for brokerage firms that arise with their former and current registered representatives and administrative support personnel, including claims that arise in connection with a broker's termination. That includes the defense of discrimination claims, claims relating to industry regulations and protocol, and claims relating to Form U5 disclosures. She is a frequent presenter and trainer on managing employee absences and leave requests, conducting internal employment audits and complying with state and federal leave and accommodations requirements. Interview with Molly Batsch, "4 mistakes to avoid at the intersection of FMLA and PTO"
Interview with Molly Batsch, "Good Background Screening Crucial to Avoiding Liability"
Workers' compensation retaliation: exclusive causation no more! Wage Garnishments: Could you be in danger of paying your employees' credit card debt?